It is likely that natural stirred yogurt first emerged spontaneously – with goats milk reacting with wild bacteria in goat skin bags and fermenting. The result was a delicious, new and interesting dairy product which because of its acidity also kept for longer. Today’s yogurt comes in many different forms. Although mainly made from cows milk, it is also made from other animal milks including goat and sheep, as well as nuts, soya and rice milk. Natural stirred yogurt is a plain, unsweetened product containing no added colour or other additives. Lactose-intolerant individuals can tolerate yogurt better than other dairy products, because the lactose is converted into glucose and galactose, as well as being partially fermented to lactic acid. 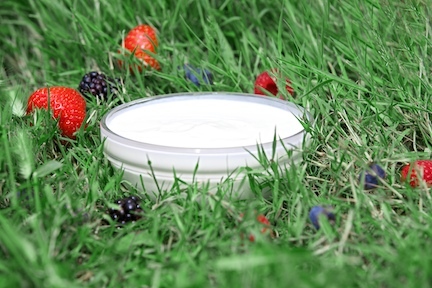 KaTech can help you to develop new natural stirred yogurt products which meet the requirements of your retail customers – and the consumer. Using our expertise in functional milk proteins for cultured products, we can help you select and trial the optimal proteins to suit your process and target product. At our state of the art pilot plant facilities, we can replicate your factory process and can be on-hand to assist with scale-up of production in your factory. Get in touch today to discuss your new products. A number of factors can influence the quality of natural yogurts. Common defects include low viscosity, air bubbles, textural defects (eg sandy or long), synerisis and taste issues. If you are experiencing problems with your products, please get in touch we would be happy to offer our advice. At KaTech we can help you reduce costs and maintain your profit margins in the manufacture of natural stirred yogurt. We can help you reduce your costs, get in touch to find out how.